1931. 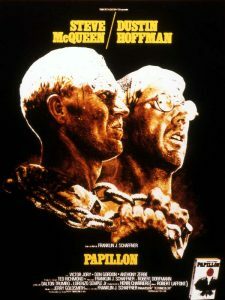 Henri Charrière, nicknamed "Papillon", is sentenced to hard labour for life for a murder he did not commit. His only hope is escape. To achieve this, he relies in particular on the help his new friend, the famous forger Louis Dega. After a number of attempts, he is sent to Devil's Island where prisoners’ conditions are appalling. But more crucially, no-one has ever succeeded in escaping.